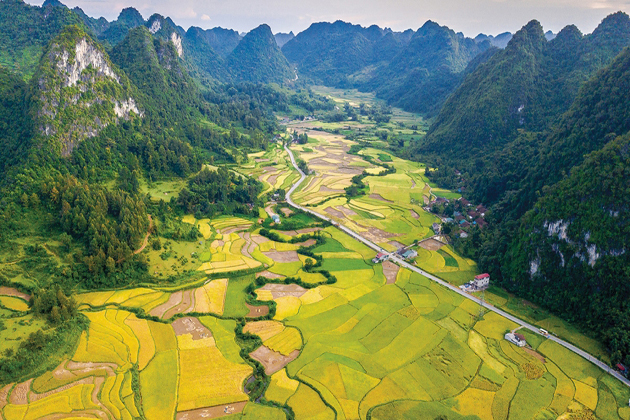 Cao Bang, located in the North and also bordered with Ha Giang – the northernmost province of Vietnam, is very famous for extremely beautiful mountains and forests with the beauty of great nature. 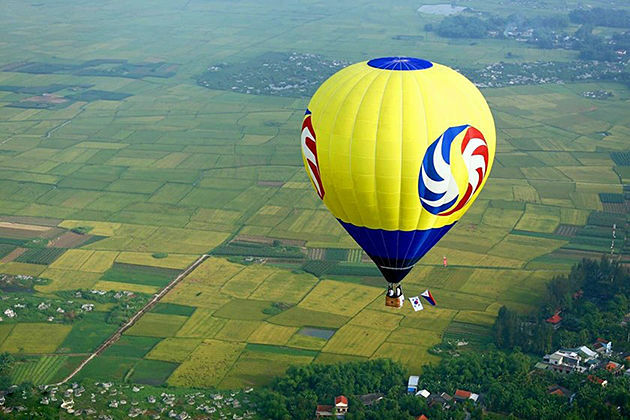 Traveling to Cao Bang, visitors are surely amazed by its timeless charm and possibly feel hard to choose thing to do and where to see, so that they can discover all typical sites of this beautiful land. 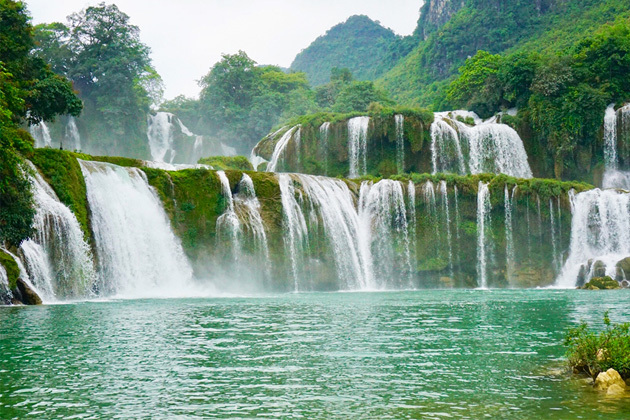 The followings are some most highlights travelers should enjoy in Cao Bang. Non Nuoc Cao Bang Geopark, a highlight of many tangible and intangible cultural heritage sites, is recognized by UNESCO as a Global Geopark in Vietnam after Dong Van of Ha Giang. 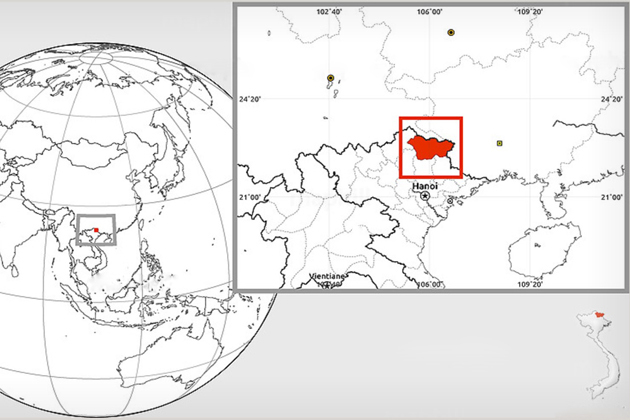 Especially, it includes two special national monuments: Pac Bo (mentioned later) and Tran Hung Dao forest where the Vietnam Propaganda Liberation Army was set up. 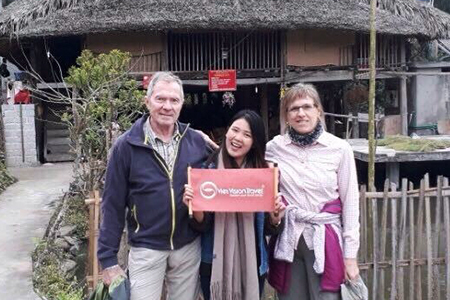 Exploring Non Nuoc Cao Bang Geopark, travelers can take a chance to enjoy Ban Gioc Waterfall and those monuments. The park is renowned for its plentiful biodiversity with abundant flora and fauna as well as stunning landscapes. Ban Gioc Waterfall is the fourth largest waterfall in the world, which is located at the borders among countries (Vietnam and China). The waterfall used to be considered as the most beautiful one of both Vietnam and China in their territories. 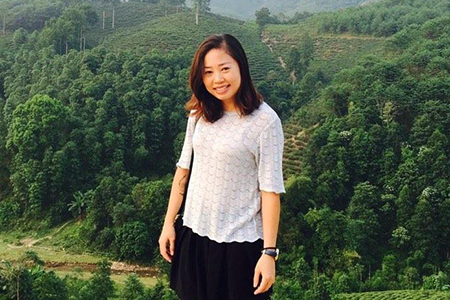 It takes about 4 hours to drive from Cao Bang to the Ban Gioc, now travelers are enjoying the beauty of one of the most famous waterfalls in Asia. Travelers usually come in large groups, at weekend and especially hold barbecues and picnics. Frequently, the waterfall does not flow much water in the summer, however, it is still wonderful. Just 500 – meter far away from Ban Gioc, Truc Lam Phat Tich Pagoda was constructed as the architectural style of Vietnam Buddhism. 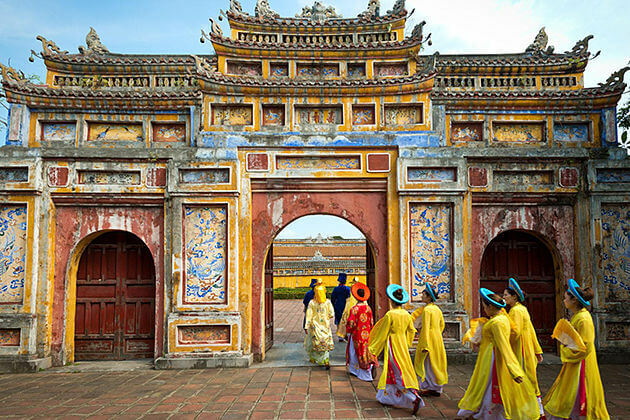 It is also the first pagoda built up in the border area of Northern Vietnam. 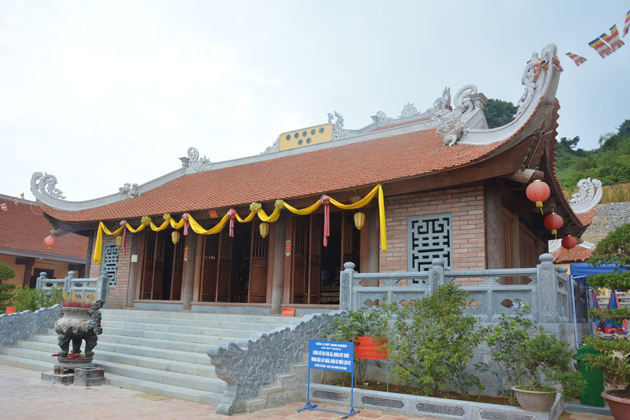 There is a temple of national hero Nung Tri Cao – the sample for Cao Bang culture in the 6th century. The presence of the pagoda contributes to the religious aspect of the province beside its natural beauty. 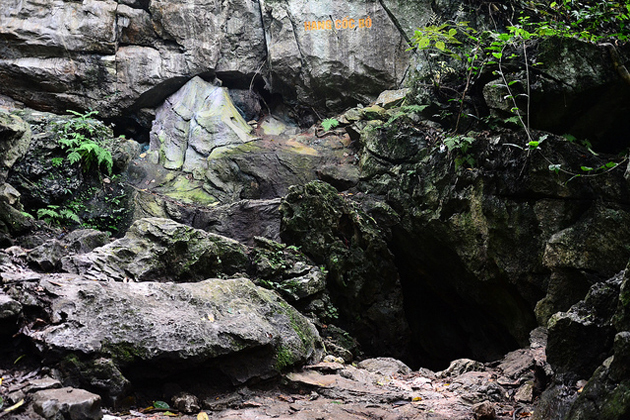 Pac Bo Cave is a crucial historical site in close relation with President Ho Chi Minh. 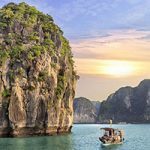 The cave is depicted in limestone mountains, blue rivers, and green rice paddies together with little villages of mud and straw houses through narrow valleys. 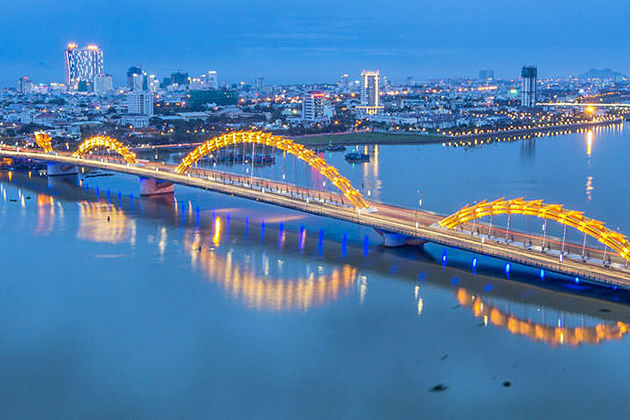 Since 1941, Ho Chi Minh went across the border from China, then entered Vietnam for the first time after 30 years leaving for finding out a way to salvage the nation with the proletarian way. Pac Bo Cave was the safe and secret place Ho Chi Minh choose to hide out while the country situation was unstable under colonial France. Just go through some paths, travelers can see some small cave sites, and signs leading the way to places in which Ho wrote, slept and ate. Visitors can feel the moment in the nineteenth century. 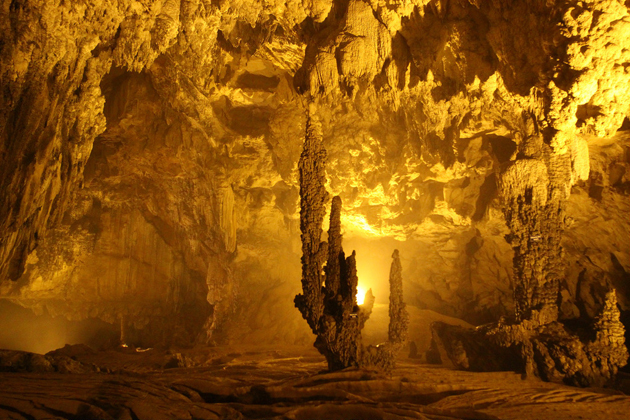 Nguom Ngao cave is an ancient one existing up to 300 million years and up to 2200 meters in length. It has 3 gates and plenty of small picturesque caves. Travelers are astonished by this mysterious cave through extraordinary stalactites and exciting stories about this unusual name. It took millions of year for limestone mountains and stalactites to shape their special structure nowadays. 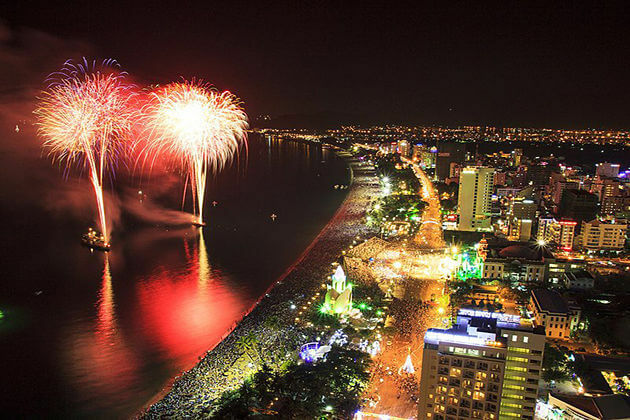 Is Danang The Most Worth-Living & Visiting City in Vietnam?